Don't fret people, there is a good reason why FUNimation might go up for sale. 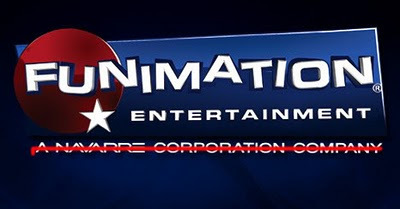 Unlike the relatively resent news that 4Kids is trying to get bought, sold, dismantled, due to money issues and their past sins against the anime world, Funimation might get put up on the auction block because it's gorwn well for parent company Navarre Corp. and they feel it's time to leave the nest for a brighter future. As per ANN and mania.com, Navarre will use the help of the investment bank Houlihan Lokey to create the sale next quarter. Navarre owns the Starz and Encore networks and feels FUNimation is too different than their other properties. I actually own Navarre stock (for the partial ownership of Funimation no doubt) but due to this news.. I'll sell and follow wherever FUNi goes next. Now if only I win the upcoming powerball lottery..I'd have a shot at adding them to my anime empire. ...in due time...in due time.